The holidays are over, winter is settling in, and we’re all in hibernation mode… unless we have to be out and about. In which case the last thing you want is a slippery crash in the parking lot! Unfortunately, according to the National Safety Council (NSC), tens of thousands of crashes happen in parking lots and garage structures every year. Hundreds are killed and thousands are injured in these generally low speed crashes. So, what can you do to avoid becoming one of these statistics for next year? We’ve all been told to pull over to the side of the road before using our phones or programing the GPS, and many of these devices require it. But that doesn’t mean we can stop paying attention in the parking lot – the car needs to actually be in park. According to a NSC public opinion poll, at least 50 percent of American drivers said they’d text, use social media, use email, or watch videos in a parking lot. The key to safety behind the wheel is to focus on driving and pay attention to our surroundings 100 percent of the time. Just because you’re in a parking lot and everyone is moving slowly doesn’t mean your safety is guaranteed. There are many more cars moving in different directions and pedestrians walking across the pavement, so following the rules is critical. ● Follow the arrows, signs, and lines. ● Watch for drivers, especially reversing in and out of parking spaces. ● Triple check your surroundings when reversing. ● Pay attention to pedestrians, especially children and people in wheelchairs. The most important thing to remember in a parking lot is to be aware of your surroundings in every direction. 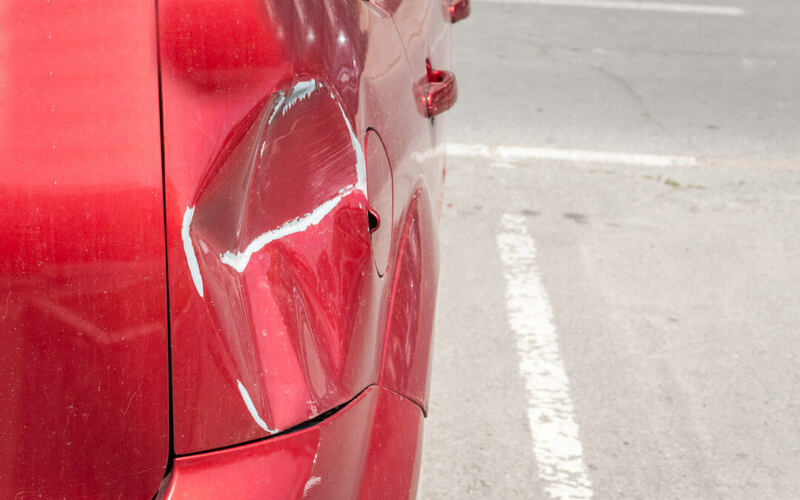 If you are relying on things like backup cameras or blind spot notifications, remember that these systems are only as accurate as they are well maintained. If you’ve hit a pothole recently, been in an accident, or simply haven’t washed your car, your sensors could be misaligned or your cameras could be covered in salt. It’s your job to keep cameras clean, have the computer systems scanned at your local repair shop, and trust yourself – look around your car instead of only at the narrow view of your reverse camera.